Computer games have now been around for over three decades and the term serious games has been attributed to the use of computer games that are thought to have educational value. Game-based learning (GBL) has been applied in a number of different fields such as medicine, languages and software engineering. Furthermore, serious games can be a very effective as an instructional tool and can assist learning by providing an alternative way of presenting instructions and content on a supplementary level, and can promote student motivation and interest in subject matter resulting in enhanced learning effectiveness. REVRLaw (REal and Virtual Reality Law) is a research project that the departments of Law and Computer Science of Westminster University have proposed as a new framework in which law students can explore a real case scenario using Virtual Reality (VR) technology to discover important pieces of evidence from a real-given scenario and make up their mind over the crime case if this is a murder or not. 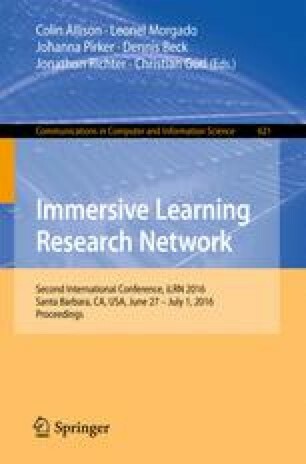 REVRLaw integrates the immersion into VR as the perception of being physically present in a non-physical world. The paper presents the prototype game and the mechanics used to make students focus on the crime case and make the best use of this immersive learning approach.